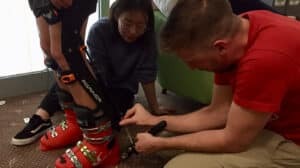 General public: There are dozens of exoskeleton products that are leaving the research and development labs and becoming commercial products. While they might not be as glamorous as the flying Iron Man or as imposing as the mechs from Avatar or Aliens they are ingenious in their own right. Furthermore, what is already becoming available is not a dream from a distant future but practical and viable products. The commercial exoskeletons catalog featured here allows for viewers to scroll through dozens of exoskeleton devices in seconds. For more on this point see: Making Exoskeleton Information More Accessible The catalog provides a complete, bird’s eye view of the exoskeleton industry. Investors: Who wants to buy a product that only one or two companies have ever made? No one. We hope that investors in exoskeleton technology see that they are not alone and there are dozens of companies vying to carve a place for themselves in this emerging field. Investing in exoskeleton companies is a high-risk proposition, but products are now being produced all over the world. Unlike past decades where the exoskeleton industry captured the media’s attention and little else, this time, the industry is really gaining traction. Regulators: There are many different types of wearable exoskeleton devices, but more importantly, there are already multiple manufacturers getting into the same space. 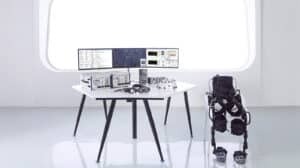 There are already great efforts to create test guidelines for wearable robotics throughout the world, and judging by the number of new devices being released those efforts will not be in vain. Potential customers: Please use the commercial exoskeletons catalog for a quick overview of what is already or soon to be available. Contact the manufacturers directly for quotes or questions. Don’t be afraid to reach out to the companies and ask them if they can design or modify a wearable to fit your unique needs. Students and enthusiasts: We hope that the catalog inspires you to start or continue working on exoskeleton technology. This might not be a hot field like artificial intelligence, drones, self-driving cars or cyber security but it is a field that aims to assist, augment or improve the safety of all humanity. 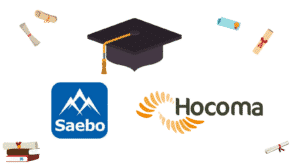 In order for exoskeleton devices to be listed in this exoskeleton catalog, they have to be released commercial products or close to being released. For every product listed here, there is at least one more in development at a research lab that is not included. In addition, there are hundreds of exoskeleton prototypes that have been built over the decades, each one more important than the other in moving the exoskeleton industry forward, but they also fall beyond the scope of this catalog. As new devices come on sale and older ones are retired the catalog will be updated appropriately. Do you know of any commercial exoskeletons that are not listed in the ExR Exoskeletons Catalog? Please tell us about it in the comments section below or contact us directly. Are there other exoskeleton catalogs on the web? MedicalExpo – is a giant medical device catalog with over 130,000 listed products. If you search for “exoskeleton” on their website they already have six entries. IISART TechIndex – the International Industry Society in Advanced Rehabilitation Technology has a technology index listing (link) for rehabilitation robotics. Approximately half of those devices are exoskeletons. This exoskeleton catalog is the continuation of the work by the Wearable Robotics Association and Otherlab Orthotics. Both organizations have talked publically in the past for the need to list, organize and categorize the exoskeleton industry. For a rationalization of the different categories see our prior articles, starting with an overview of the exoskeleton industry in 2016. The article was supposed to highlight only the exoskeletons available on the market? If yes, I would say is a very good list. If not, there are also the Exobuddy in the military section and I think the ERGO-GRAVITY should be included. People speaks about operators not accepting the new technology but also people in charge of leading are reluctant also. These arms ( there are more companies) attached to external fixtures it is a very good step to gain people trust that it can improve the work place. Thank you very much for your input! I thought the Exobuddy is just a single prototype at this point? Do you know how many units of the Exobuddy are out there? I wouldn’t put the ERGO-GRAVITY as a separate entry, just when it is used as part of an exoskeleton. I do completely agree with you that there is a lack of trust by people too and passive exoskeletons help alleviate it.